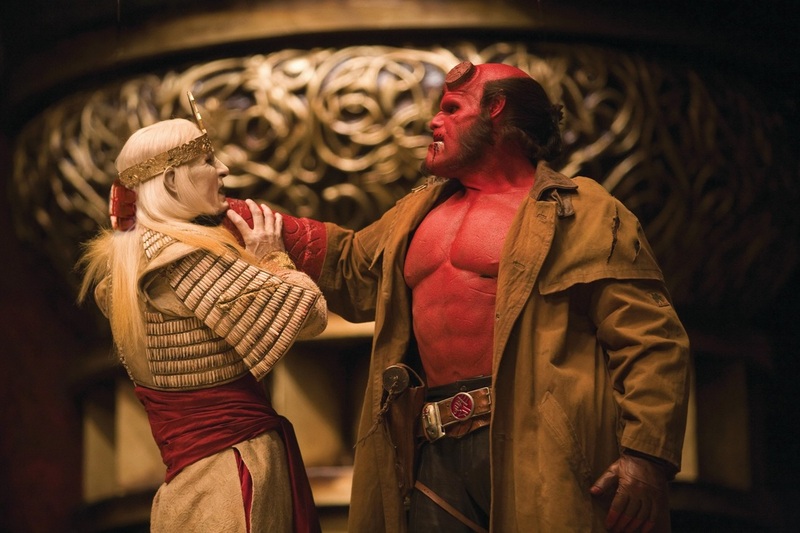 This article is a review of HELLBOY II: THE GOLDEN ARMY. Raise your hand if you’re a fan of the first HELLBOY film. Ok, just doing a head count. Those that gave it a go seemed to like it, well so thought the filmmakers who’ve given us a bigger budget sequel. HELLBOY delivered almost everything a comic book film should. It had a charismatic, interesting lead; fantastical ideas; wonderful production design, make-up and effects; very effective camera-work; and witty, pithy dialogue. The only thing that let it down was the nonsensical plot, where most things appeared to not make much sense: Why do the baddies want Hellboy exactly? What are these demons in outer space/another dimension? How can Rasputin be sucked through a portal in bits and keep reappearing? How does a clockwork Nazi assassin wind himself down, and then move about without his mechanism? All that prevented Hellboy from reaching great status. At least with HELLBOY II: THE GOLDEN ARMY the movie this time has a coherent, consistent internal logic. Building on the original, the imagination on display is spectacular. The sets such as the mythical Troll Market are alive with detail and wonder. 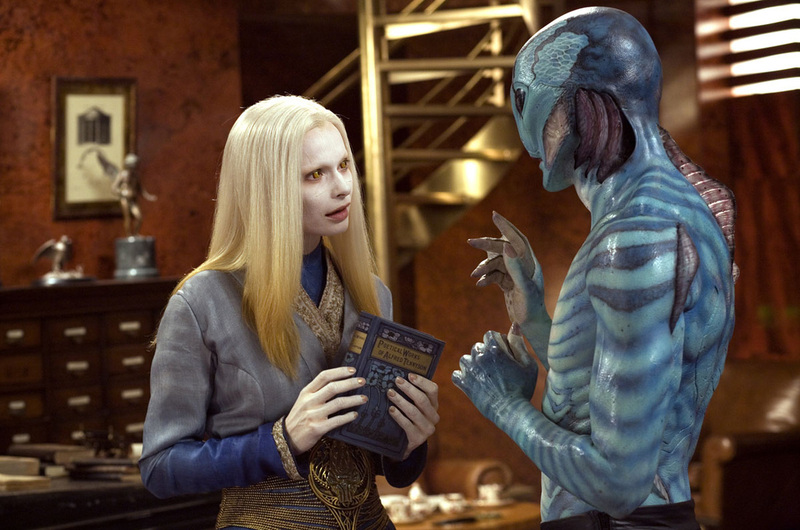 Also the creatures such as Mr. Wink and Luke Goss’ Prince Nuada are fearsome and beautiful. 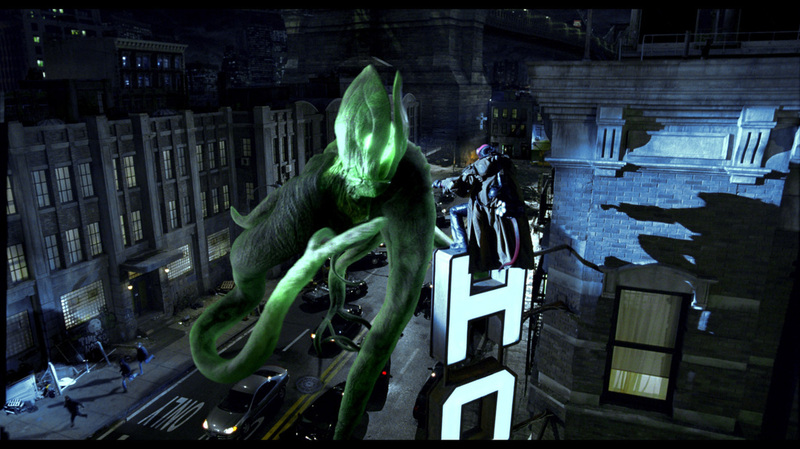 The visual effects are virtually flawless. 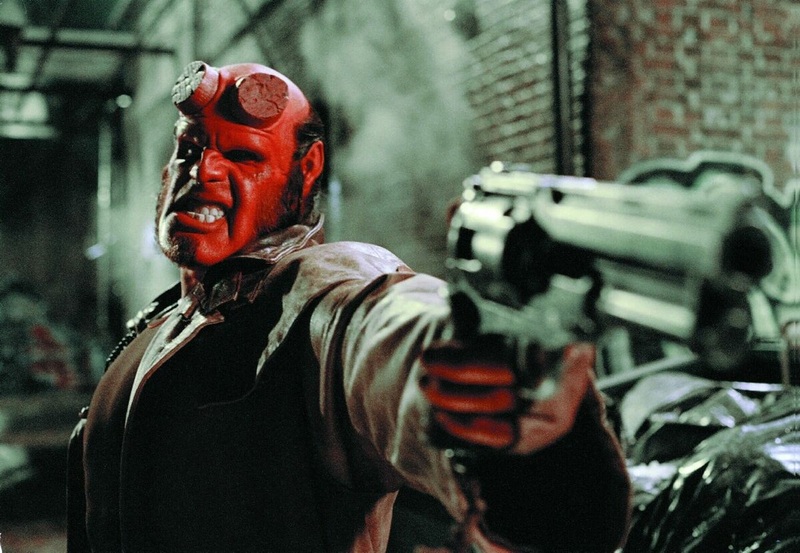 However, HELLBOY 2 is the first film from director Guillermo del Toro which seems to have obvious influences; usually his films are singular, and all the more amazing for that. Here, we can see the fingerprints of Japanese animé maestro Hayao Miyazaki, STAR WARS, MEN IN BLACK and Tolkien. The Tolkien-esque aspects appear in the story in particular, concerning the end of an era. A long, long time ago humans could not live with magical creatures, so King Balor, persuaded by his son Prince Nuada, acquiesces to the creation of the Golden Army – an indestructible mechanical force - that left the humans no option but to agree to a truce: them to the cities and the magical creatures to the forests. Humans over time have slowly reneged on the deal through recklessness, negligence or forgetfulness. Prince Nuada decides to resurrect this unstoppable army with only the Bureau for Paranormal Research and Defense in his way. See, far more straight-forward than the original. Though, not only has Del Toro changed what did not work with its predecessor, he has fixed what was not broken, namely the characters and tone. Instead of the cutting, funny banter and one-liners, the characters are now sappy versions of themselves. Jeffrey Tambor’s media hungry bureaucrat Tom Manning has now become a wet, sycophantic wimp. David Hyde Pierce’s ponderously wise voice is sorely missed from the character of Abe Sapien, and along with the vocals, Abe’s intellect seems to have been reduced. 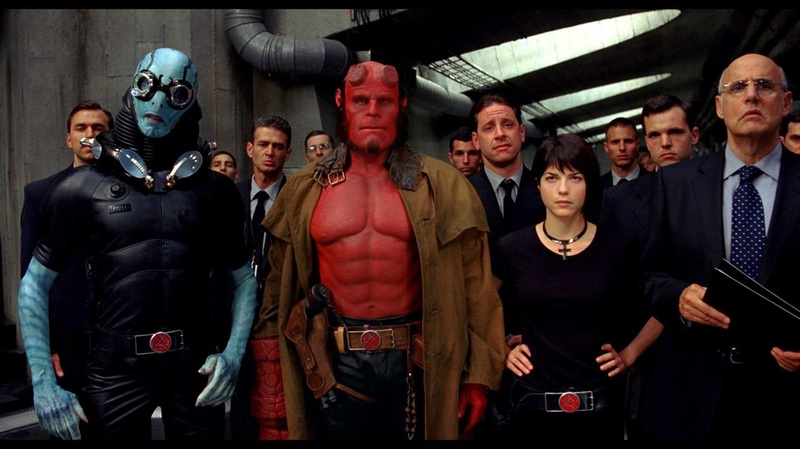 Hellboy (Ron Perlman) and girlfriend, firestarter Liz Sherman (Selma Blair), now settled down, have let love change them – he is more petty and she more sulky. Of course there should be character progression, but, together with the tone of the whole film, it has gone from black humour to broad and unchallenging. There’s even a stereotypical “comedy” German character introduced. See more amusing examples in A BUG’S LIFE, AMERICAN DAD or THE LIFE AQUATIC WITH STEVE ZISSOU. Both HELLBOY movies are on the verge of real superiority, but there is a feeling as the credits roll of missed opportunities.